and tells him his destiny and his ancient name. of strange beauty appears in his dreams trying to contact him. A brilliant archaeologist makes a shocking discovery in modern Iraq. seek the ancient Hero contained in the book of prophecy. 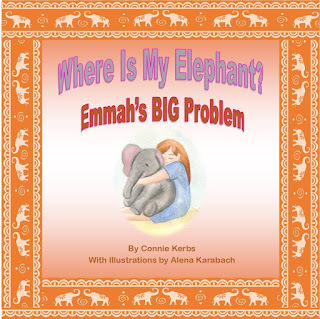 learn to set aside their petty conflicts and unite in a common cause? common and vicious enemy - determined to conquer earth and enslave its people. And one human holds the key - Caius. Richard Mann grew up in being an avid reader of books, even from an early age he loved the literary giants Tolkien, Michael Moorcock, Frank Herbert and Douglas Adams. He is also a big fan of Bernard Cornwell, the historical novelist and Frederic Forsyth, the great thriller writer. (Hint: If you love these authors you will love Richard’s books). He started writing at 16 but the dream faded until a few years ago when he started writing again. During his twenties he studied business studies and accountancy. During this time he also studied Shaolin and Wing Chun Kung Fu and even starting a school with a friend. He has worked as an accountant, Software developer in the City of London for banks and insurance companies, and is now an author. 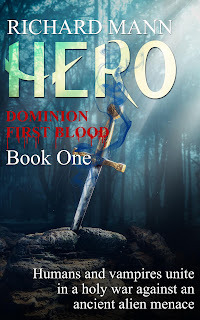 HERO- Dominion First Blood is his first book. His mercurial book is action packed, fast paced, and guaranteed to keep the reader turning pages to the end. This wholly original book falls within the thriller, fantasy horror, and sci-fi genres. It combines incredible action, hair-raising scares and big laughs. It will shock the reader into thinking about his own place in the world. Warning: This book may keep the reader up all night! Richard is a fellow Member of the Association of Accounting Technicians, Member of the Institute of Analysts and Programmers and a Member of the British Computer Society. He is 57, married to Brenda, has two sons and lives in Berkshire. The No.1 Science Fiction Thriller writer today.